This outdoor Southeast DC rink has style to spare. The figure-eight track in Canal Park sports two skating paths, a nice change from the usual rink roundabout. This outdoor set-up in Southeast DC has style to spare. 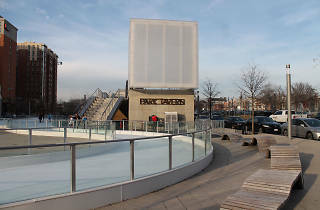 Long and lean, the figure-eight track in Canal Park sports two skating “paths,” a nice change from the usual rink roundabout. The four-month season is packed with special events like two-for-one admission on Tuesdays between 4 and 6 pm; “Rock n Skate” on Friday nights as well as the occasional “Icercise” class (an aerobic workout on two blades). 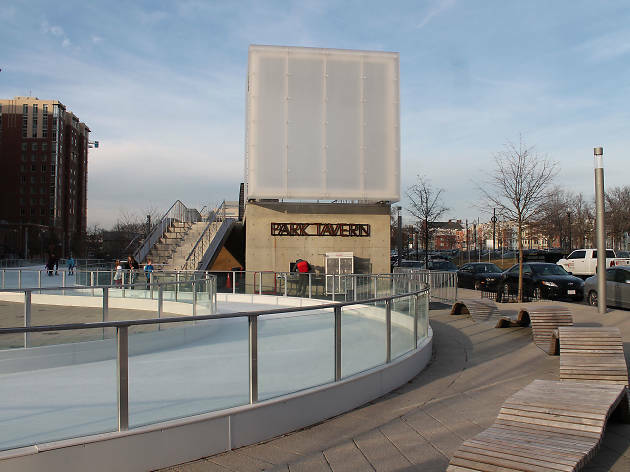 Afterward, cozy up at Park Tavern and watch skaters whiz by the windows. November 9 until early March, weather permitting. Mon, Tue noon­–7pm; Wed–Fri noon–9pm; Sat 11am–10pm; Sun 11am–7pm.